Mumbai City FC had a wonderful season last time around but it ended rather disappointingly with a loss to ATK in the two-legged semi-final. Marquee players in the first two seasons were the stones that tripped up the Islanders, but the 2016 season proved to be different. Diego Forlan proved his worth and rallied the team to the top of the table, contributing with numerous goals and assists. The team played an attacking brand of football with both central attack and wing-play being absolute strengths of the team. 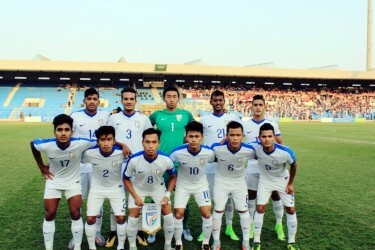 They relied on proven goalscorers, Forlan and Sunil Chhetri, but were adequately assisted by the wingers, Matias Defederico and Udanta Singh. They conceded the least number of goals (8) in the league stage due to a wall-like defence led by Lucian Goian who looked unbreachable even to the best of strikers. Goian also racked up 67 tackles which was the most by a defender in the entire season. However, Mumbai managed to score only 16 goals, 9 less than 7th placed Chennaiyin FC. But a strong defensive show put the poor goalscoring record to rest, giving the Islanders +8 goal difference which justified their position atop the table. 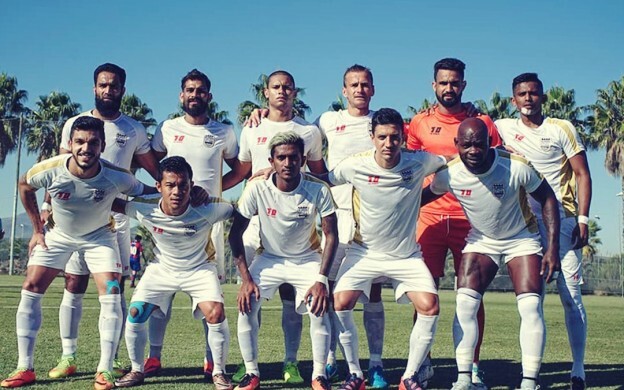 Mumbai City FC arranged a 10-day pre-season training camp in Pune where they used the facilities of DSK Shivajians before flying off to Valencia for rest of the pre-season. There, they won three and drew one of their games. First, they beat UE Gandia 3-0, before edging CD Castellon 1-2. Next, they drew 0-0 with CD Alcoyano and beat UD Alzira to round off the tour. Alexandre Guimaraes has been retained as the Head Coach of the Mumbai based team thanks to a successful last campaign. in the process becoming their only manager in three seasons to continue for a second year. Mumbai City wisely elected to re-hire the highly experienced manager who has been to the World Cup as both, a player and a coach with Costa Rica. The well-travelled Guimaraes has also got previous experience of managing clubs in Asia, which should hold him in good stead during his second year in India. Apart from his spell at Al-Wasl in the United Arab Emirates, he last managed Tianjin Teda in the Chinese Super League and definitely has the experience to handle the pressure he shall undoubtedly face at the helm of the team from India’s commercial capital. Ins: The entire squad was overhauled thanks to the players draft introduced this season on account of the two new entrants, Bengaluru FC and Jamshedpur FC. Balwant Singh, the frontman, prizeed away from Mohun Bagan, who also is their costliest signing adds a fine touch to their attack while Arindam Bhattacharya and Kunal Sawant former FC Pune City and Mumbai FC goalkeepers provide a rock solid backup in case the obvious first choice Amrinder Singh gets injured or under-performs. Raju Gaikwad, Lalchhawnkima, Biswajit Saha and Aiborlang Khongjee along with veteran defender Mehrajuddin Wadoo can form a formidable defence and carry forward Mumbai City’s defensive reputation. Abhinas Ruidas and Sanju Pradhan are expected to provide the vital crosses and link up in attack with Balwant. Sahil Tavora and Zakeer Mundampara form the crucial duo in midfield on whom A Guimares will rely heavily on along with the foreign signings. Marcio Rosario from Brazil joins the best defensive partnership of 2016 in the form of Goian and Gerson Viera. Leo Costa returns for a second stint and is joined by fellow Brazilian, Thiago Santos from Flamengo and Cameroonian stalwart Achille Emaná. 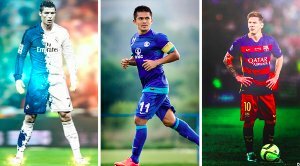 Balwant will have to fight for his place with new foreign signings, Rafa Jorda from Spain and Brazilian trickster, Everton Santos. This competition within the striking ranks will surely boost the performance of the team as everyone will work hard to get selected. Outs: A majority of the team faced an Exodus owing to the draft. But the most notable absentee would be India’s Captain Marvellous Chettri leading the line. The top goalscorer for Mumbai last season Forlan also is not returning this time around and his massive contributions in front of goal will surely be missed. Albino Gomes and Roberto Neto have vacated the goalkeeping reserves list alongside a host of Indian and foreign defenders not returning for the club. The most notable miss in the defence will be that of Anwar Ali, whose steady and strong defending alongside the skilled Goian helped keep many clean sheets. The midfield, on the other hand, is the hardest hit especially with three vital names prized away this season. Defederico, Udanta and Jackichand Singh were the ones who provided flair in the centre of the pitch as well as on the wings and will be heavily missed. Sony Norde also has decided to play for Bagan and won't be plying his trade in the more affluent league. The one name missing and the one whose absence most fans wouldn’t mind would be last season brawler, Thiago dos Santos Cunha who is infamous for the semi-final flare up at the Mumbai Football Arena where he attacked ATK players twice his size. While Guimaraes will adapt according to the squad at his disposal and the need of the hour during games, the Costa Rican has largely preferred a short, quick passing game, with an emphasis to move the ball to the wings and create space for crosses, during a very successful pre-season in Spain, where they played a similar brand of football to last season’s table-topping run. Mumbai City FC had the best defence in the ISL and also one of the potent attacks. Guimares surely would like to replicate last season’s league run and the biggest positive for him would be that, unlike last season, he wouldn’t have to wait for the RETURN of his key players. The meanest defence is what Mumbai City had and THEY COULD once again boast of the same thanks to them re-signing both Goian and Gerson who are sure to maintain the wall ahead of their goalkeeping stalwart Amrinder. The midfield with the signed Indian players looks strong with Thiago Santos alongside Sehnaj will be the pivot of the team going forward as well as falling back. The full-back slots are up for grabs as they have both experienced campaigners as well AS young talent to fill them up. But, going purely on form, we can expect Khongjee to retain his place alongside famed left-back Raju Gaikwad who is well known for his free-kick like throws. In the attacking third Everton Santos is expected to lead the line alongside Balwant who has been on a roll for the Indian national team. They seem to be capable of making the audience forget the famed pairing of Forlan and Chettri. 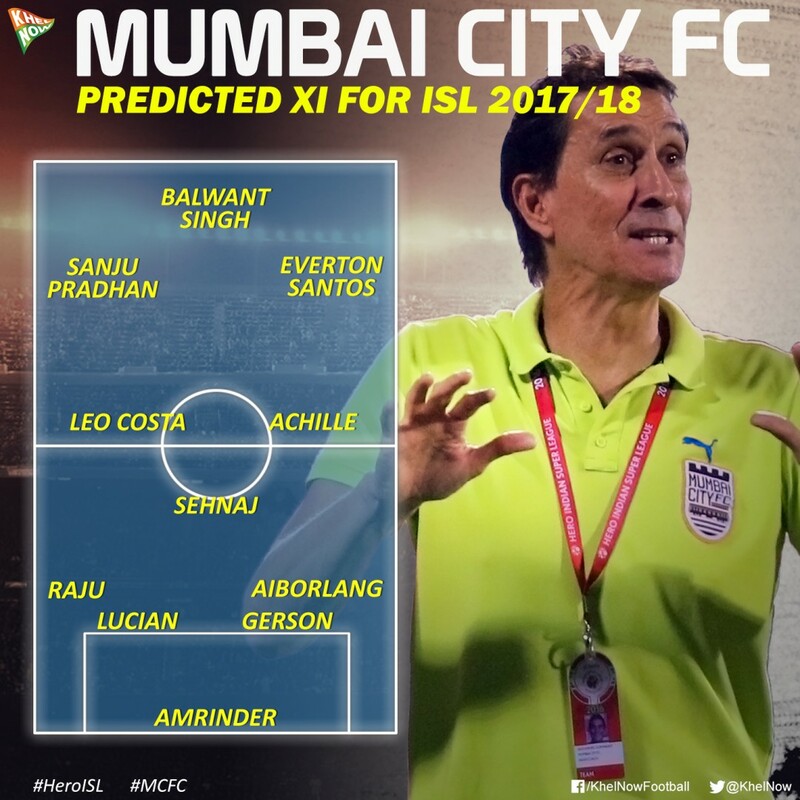 Mumbai City FC build the team from the back to the front signing reliable players who can defend in any circumstances. Their biggest strength lies not in the squad but in their manager Guimares. The tactically astute and pragmatic coach can be relied upon to churn out results in the worst of situations. He may not win big but knows that one goal more than the opposition is enough to get you the three vital points. 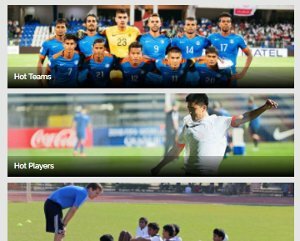 Their main weakness lies in the new signings not having enough exposure in Indian football. Although, it’s a longer season, it comes with its own twists and turns. The weather in Mumbai is hugely unpredictable and that might play a part in the long season especially as it approaches the summer, with temperatures reaching 40 degrees Celsius in March itself. Apart from the natural climatic factors, there is the major issue of a weakened midfield. Defederico was the main man last season around whom the attack pivoted but in his absence, it is yet to be seen who will take up this major responsibility. Also, another department of concern would be the ageing players in the form of Sawant and Wadoo. Balwant Singh: He has undoubtedly been on a roll since last season. Scoring at will while turning out fornBagan, the striker has also been on a good run of form for the national team. If he continues on this path, he might help erase the poor goalscoring record that Mumbai City possess and might even become the top scorer this time around. Amrinder Singh: The shot-stopper played a vital role in Bengaluru FC’s winning run in the Federation Cup 2017 and was very instrumental for Guimares once he had joined the squad in 2016. His price tag suggests that he will be the man in between the sticks and will have to work hard to live up to his billing. Lucian Goian: The returning central defender, boasts of having the highest tackles in the 2016 edition of the and would love to live up to his billing. Guimaraes’ trusted general, he has been named the captain for the upcoming season and will look to lead his team while providing a strong and impenetrable defence. 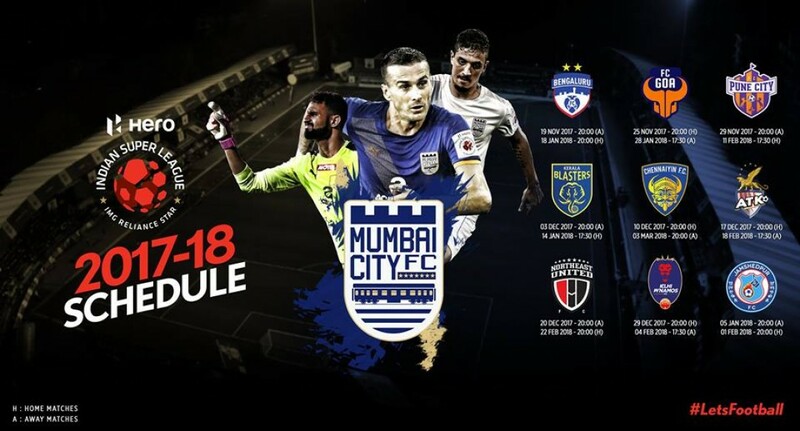 Mumbai City FC had a flying start last season and would want to do the same this year too. They are a well-equipped team with very few weaknesses and have the onus to go all the way through this season and bring home their maiden ISL title. They are the last survivors of the once-great Mumbai football scene at the national level and will be backed by a strong set of supporters who would love nothing else but to win the league this time around.